The songs in this collection are playable by any combination of ukuleles (soprano, concert, tenor or baritone). Each arrangement features the melody, a harmony part, and a bass line. Chord symbols are also provided if you wish to add a rhythm part. For groups with more than three or four ukuleles, the parts may be doubled. 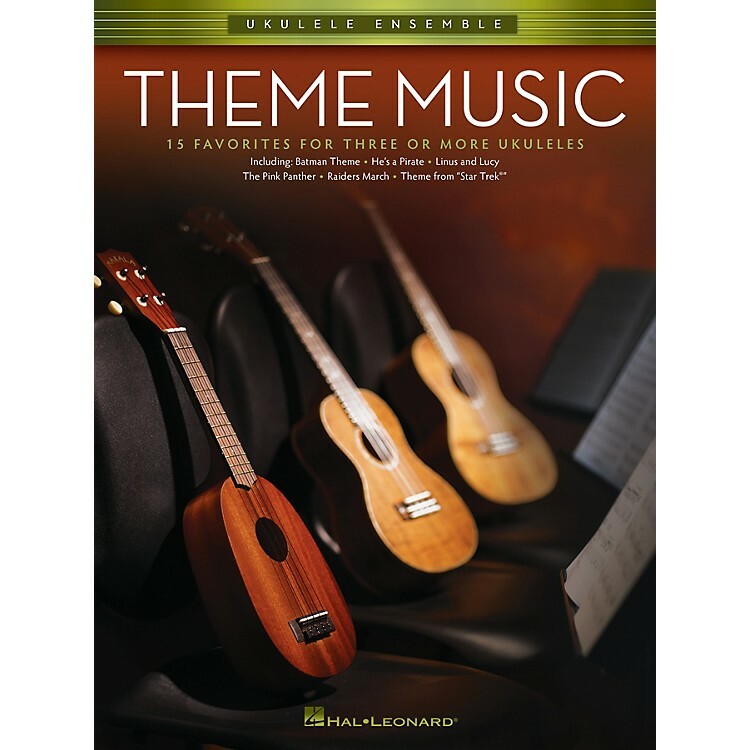 This volume includes 15 favorite themes from movies and TV, including: Batman Theme · Hawaii Five-O Theme · He's a Pirate · Linus and Lucy · Mission: Impossible Theme · Peter Gunn · The Pink Panther · Raiders March · Theme from Spider Man · and more!